The f***ing crisis is international, big, strong and it swallows everything (and it serves as an excuse for some folks!!). Consequently the ViMus Festival was infected by this ‘virus’ and there will be no festival this year. If we’ll find an antibiotic, the show will be on road again. Anyway, thanks to all of you who ‘really’ supported this festival. “Video Militia is a community-based videoblog & social network focused on emerging music videos, commercials & films. The mission is to create a rally point around the best and freshest of our trade. The focus is especially on the fringe, exceptional, underground or undiscovered; this site serves all those fighting to be noticed. http://www.fileden.com/files/2009/2/18/2327414/cafe%C3%ADna%201.%C2%AA%20parte-edit.mp3RUM – Programme ‘Cafeína’, interview -1st part. http://www.fileden.com/files/2009/2/18/2327414/cafeina%20II%20parte-edit.mp3RUM – Programme ‘Cafeína’, interview -2nd part. MTV “Brand:New” programme interviews Paulo Prazeres (director of the double awarded videoclip at ViMus 2008, “É Verdade“, by Terrakota) and Alex (from Terrakota). 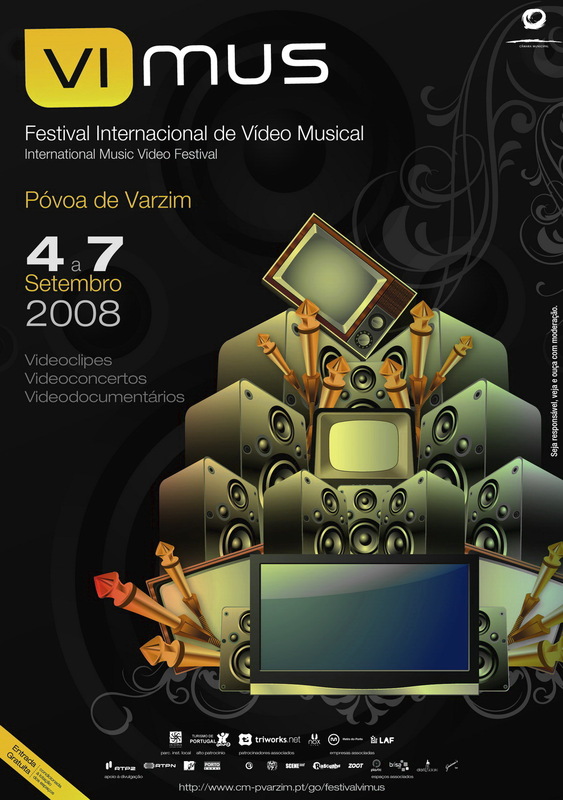 The ViMus Festival aims to distinguish and promote the music videos authors, celebrating their visual creativity. In this event another conceptual amplitude of music video will be given.